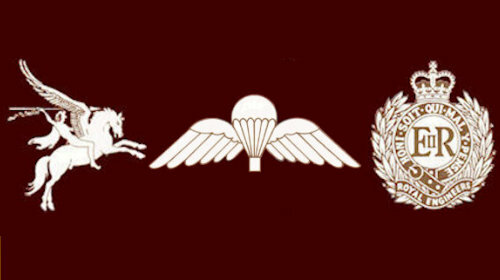 Alec joined 9 Independent Airborne Sqn RE in the Canal Zone arriving with Paul Scoble in 1952. They may have been on the same para course - Alec went to 2 Troop while Paul joined 1 Troop. 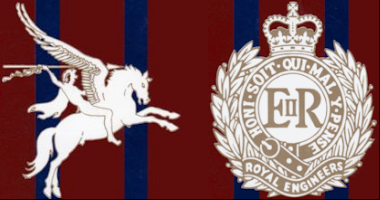 Alec was always going to be a good soldier as his father had been an RSM in the Scots Guards and I understand that he was marched everywhere at a very early age. He remained with 2 Troop up to the Suez Crisis; having now reached the rank of Sgt, where he parachuted in with the French. Thereon I lost direct contact with 9 Sqn when I became no longer fit for purpose due to a knee injury. However I am able to write this tribute to him having, purely by chance met his eldest son here at Hythe. Alec was, along with Paddy Turner, leading lights in free fall parachuting and Alec became captain of the Army team and Paddy the Army champion. Alec was also a diving man and later became the chief diving instructor at Marchwood. Later on three of his diving tasks were considered classified, two remain classified but one has now been declassified, which was a recce of the Russian submarine which sank mysteriously off the north coast of Britain. Alec carries out last minute checks on the rig of Larry Martin - ex Para Regt and bit part actor on TV and films. Alec went on to qualify as a pilot at Lydd Flying School and very often flew the 'Corps' Auster. When Alec decided to leave the Army he set up his own free fall school at Lympne. The Chairman of the Corps Flying Club, Lt Col Brian Awford CO 36 Engineer Regiment, realised that there were no qualified Corps pilots around to fly the Auster - so it was agreed that it would be loaned to Alec on condition that he maintained it and ensured that it had a certificate of air worthiness. On one occasion Lt Col Brian Awford rang Alec to confirm that all was well! Whereupon Alec invited him to come down to Lydd where he flew him to Le Touquet for lunch. So Alec continued with his free fall school until a flying tragedy occurred on 2nd July 1980. Sadly the AEA had not been founded at that time, so Alec's family were never able to enjoy the family spirit of the association at branch and association functions. So I also take this opportunity to outline the achievements of his two sons. At the time the eldest son Wayne was 12 years old and with his father's blessing had been parascending since he was 7 years old was offered a place at the Duke of York's. This he rejected because his own school was quite close to the airfield at Lympne where his mother kept the school running he was able to run from school and carry on parascending. He then went on to take part in the British Championship aged 15 and came 7th. Wayne went on to instruct static line parachuting until the Club closed in 1985 when the lease ran out. He did advise me that the family were surprised that Alec lived as long as he did, for whilst free falling in Antigua his parachute failed to open until he was only 200 ft. from the ground and although severely injured survived. Andy, the second son was only one year old when Alec's tragedy happened but was eventually was offered a place at the Duke of York's, which he accepted and where he thrived. He went on to Oxford University, where he joined the Military Auxiliary service as a Lt opting for the Royal Engineers with Bomb Disposal, trained at Lodge Hill. It was at Lodge Hill where he met and became very friendly with the Chief Instructor, Sandy Sanderson. Andy served for five years with EOD and later qualified as an Airline Pilot flying with Easy Jet before switching to British Airways on short haul flights. Both Wayne and Andy are big strapping men and the Black genes have been at work and they have both inherited a goodly portion of Alec's "Daring Do". For me it has been a pleasure and a privilege to have met them.